Move the vertices of the triangle. Observe the location of the points for right triangles, acute triangles, and obtuse triangle. 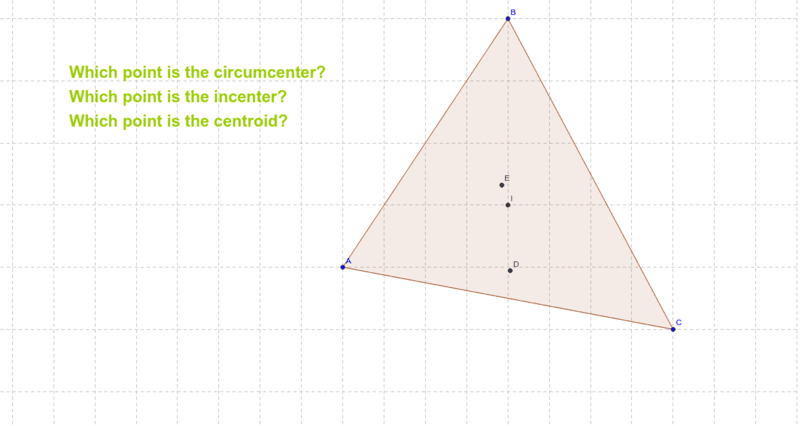 Identify which point is the centroid, circumcenter, and incenter of the triangle.